Two days before the centenary of World War I’s ending, a panel of academics came to Rabat’s Mohammed V University to discuss the war’s legacy and the role of its Moroccan soldiers. A panel of academics came to Rabat’s Mohammed V University to discuss the WWI’s legacy and the role of its Moroccan soldiers. 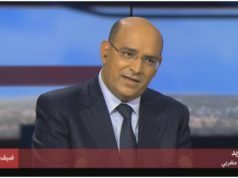 Rabat – Moroccan political scientist Hassan Aourid of Mohammed V University related Morocco’s contribution to World War I. To persuade men to join the fight against the Axis powers, the French relied on religious discourse in mosques and the “super caid policy,” which depended on local authorities. 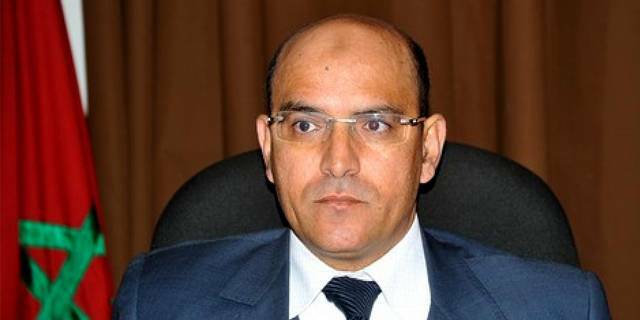 At first, Aourid said, the French were skeptical of Moroccan soldiers. Before they joined troops, the French described Moroccans as “unreliable soldiers.” But when General Lyautey decided to engage Moroccan soldiers on the front lines, that view changed. Moroccan soldiers proved themselves on the battlefield, becoming known to Germans as “swallows of death” (hirondelles de la mort) for their bravery. Aourid’s fellow panelists, T. Jeremy Gunn of the International University of Rabat and Alexander Wilson of King’s College London, explained how, 100 years after the cessation of hostilities in the “War to End All Wars,” the world is still shaped by conflict and the legacy of the first World War. Gunn, a law professor, spoke about the Wilsonian dream of international cooperation and US President Woodrow Wilson’s doctrine of peace that led to the creation of the League of Nations which, in turn, shaped the New World Order. Wilsonian idealism, Gunn said, is the opposite of nationalism, and inspired the creation of international conflict resolution institutions. While nationalism has always been an ingredient for war, Wilsonianism represents peace and dialogue. Alexander Wilson, a defense studies professor, pointed out that colonial Britain was not so much a power in the Middle East as a conflict-management authority. Wilson cited Eugene Rogan’s “The Arabs: A History” as a compelling introduction to the role British policy had on the Middle East. 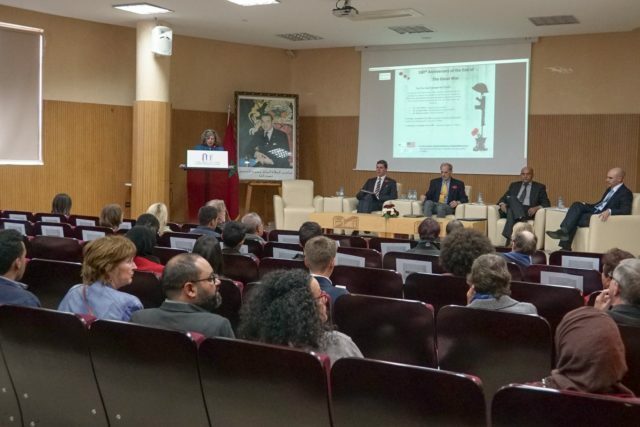 Mohammed V University’s Faculty of Law, Economics, and Social Studies hosted the panel, sponsored by the US and British embassies, in Rabat on Friday, November 9.